Stop turning the ball over Lynx! So many turnovers. This should not be a 2 point lead. Lynx got off to a great start, then lapsed into poor passing and shot selection. Not going to make this easy. The Spark are over playing passing lanes and jumping in them. The Lynx are pro players, surely they should have recognized this by now. They've got to move the ball better and make shorter passes. Ogwumike and Gray seem the most drained and beat up on the Sparks. I'd say if 1 of those 2 get hot and find their shot again, the Sparks can take this. lavender's last year as a spark... i am calling it now. you would think the refs would know she's a flopper and not fall for it so often. Wow what a FLOP by Maya. She's comes off as that little teacher pet. Seems like she regressed, but that drive was pretty! Parker hoisting from three is like a TO. I don't understand why Agler lets her do it. why does the league allow Sue to officiate important games? Diarra of course. MIP in 2018!! Sparks need to up their D.
will LA become a 'destination' like Minny for vet FA's, or not so free A's, making demands? Gray's mojo is gone. Agler should have used bench earlier in the series. 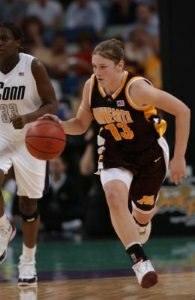 Would have given rookie a chance to knock down some threes and prove her D on Whalen or Augustus. i agree with gray...she is seems like she's out of gas. nneka has to deal with Syl all night...that's understandable with her. sparks cannot win with they can't get any offense from Gray. I'm still surprised when Fowles doesn't touch it almost every time down. LA's defense ain't that good. That was the most bogus call ever.